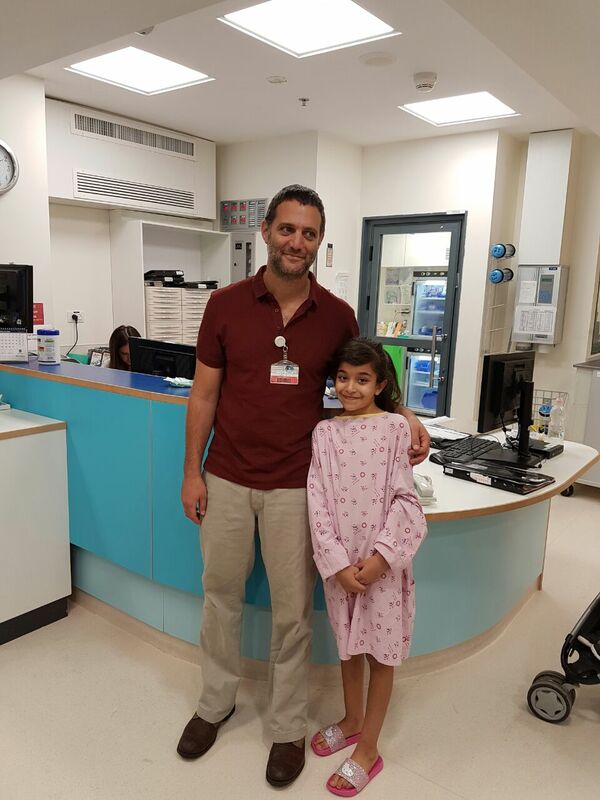 The first operation of its kind in Jerusalem – implanting magnetic lengthening rods in the spine – was performed last week at the Shaare Zedek Medical Center on a 9-year-old girl. The girl suffers from Neurofibromatosis, which causes tumor growth in various parts of the body. One of these growths was on her chest and led to Scoliosis in her spine. The initial operation to remove the chest growth was successfully performed by Dr. Danny Fink, Director of the Chest Surgery Unit at Shaare Zedek. He used the Uniportal VATS minor non-invasive method with a single incision (3-4 centimeters long). The second operation involved implanting magnetic lengthening rods to treat the Scoliosis. Dr. Harel Arazi, the girls’ doctor and Head of the Pediatric Spine Service at Shaare Zedek, explains: “This innovative treatment allows us to treat the spine while it continues to grow, so it is particularly suitable for pre-pubescent children. In the past, children like this were treated with lengthening rods that required a repeat operation every six months. In this new method, an external magnet enables the lengthening of the rods with an accuracy of 0.1 millimeters. This is a painless procedure performed during a regular bi-monthly visit to the clinic and does not require sedation or anesthesia. The method corrects the Sclerosis as the spine continues to grow normally. At the end of the growth stage – after another operation – the child’s spine is fixed in place. This 9-year-old’s operation was performed with the help of robotic navigation and lasted about four hours. The patient was able to go home after only five days, with no complications and in good condition. Recently, the Pediatric Spine Service at Shaare Zedek joined a clinical trial for the ApiFix implant, suitable for Sclerosis cases that require treatment but do not justify a major operation to fix the spine. It is also good for patients who are not comfortable with the back brace solution.